Disney is starting a new Star Wars trilogy, letting Netflix keep the Marvel shows, and producing one of their own. On Thursday, during Disney's quarterly earnings call they made several interesting announcements. While it's been hinted at for a while, Disney has confirmed that after Star Wars: Episode IX in 2019 there will be a new trilogy. It will be led by the writer/director of The Last Jedi Rian Johnson. Kathleen Kennedy, president of Lucasfilm, said that the movies will be a "blank canvas" and will not require him to continue an existing storyline. No release dates have been announced. Disney chairman-CEO Bob Iger announced Disney is working hard to aggressively market its new Disney-branded streaming service in the latter part of 2019. They plan to stream "the latest Disney, Pixar, Marvel and Star Wars feature films in the first pay window". 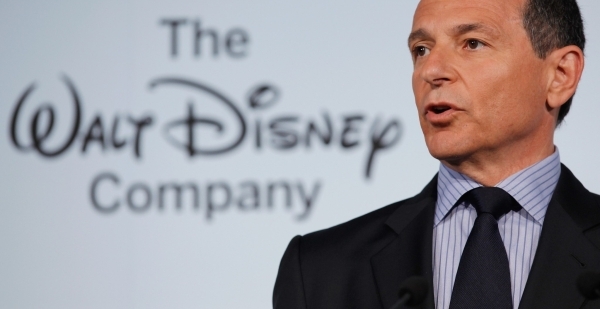 Iger also said Disney is planning to produce four or five exclusive future films a year. They're also planning to produce a number of original series for the new service including a Star Wars live-action series and a series for Marvel television. "The acquisition of Marvel helped drive our studio's performance since 2009," Iger said. "The movies we release in the Marvel cinematic universe to-date have delivered an average global box office of more than $840 million each. We have four new Marvel movies in fiscal 2018, starting with Thor: Ragnarok, which has already topped $500 million in worldwide box office since it premiered two weeks ago. To put this early performance into perspective, the box office total for the entire run of our first Thor movie in 2011 was $449 million. Thor: Ragnarok is also one of the best reviewed Marvel movies to-date." He added that they're "very excited" about Marvel's "next great movie", Black Panther along with Avengers: Infinity War and Ant-Man and the Wasp. When asked about the future of Netflix he said there's been a lot of talk about the service being a "Netflix killer" but they've been a "good partner" of Disney. "But I'd say that we're – I don't want to say we're going to walk before we run because we're going to – as I've said earlier, we're going launch this thing pretty aggressively," Iger said, "But I think what you'll see is a ramp-up over time of production spending that will start with a product that we believe is representative of the great brands and franchises that we have between Marvell and Disney and Pixar and Star Wars and then grow from there." They also addressed the question of other Marvel properties on like ABC's Agents of SHIELD, Freeform's Cloak & Dagger and even Hulu. "We're not ruling out the possibility of licensing product from third parties for it provided the product fits with the Disney brand," Iger told the investors. "As it relates to ABC and Freeform, we're going to continue to produce product for ABC and Freeform and our production capabilities for programming like that, we'll also look to sell product to third parties including Hulu. "And it's also possible by the way that ABC productions could end up producing for the Disney-branded service as well. We've actually talked about that a bit. But we're going stick to Disney branded service and it will include Marvel, Pixar and Lucas brands within it, or Star Wars brands." So Disney plans to allow Netflix to continue the series in the near future. That means, at least another season of Daredevil, Jessica Jones, Luke Cage and Iron Fist. What do you think of the news? Are you looking forward to the new Star Wars trilogy? What Marvel superhero should they use for their new show?